Who installed the sand filter? What is the model number? How much sand was added? What type of backwash valve do you have? Can you post a picture of the plumbing? What is the filter size? 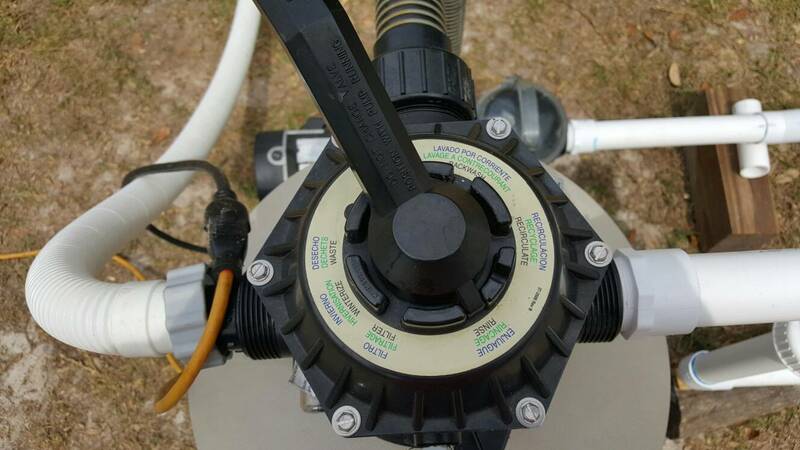 You posted pictures of the multi-port valve and the pump stickers, but not the filter. It looks plumbed correctly. 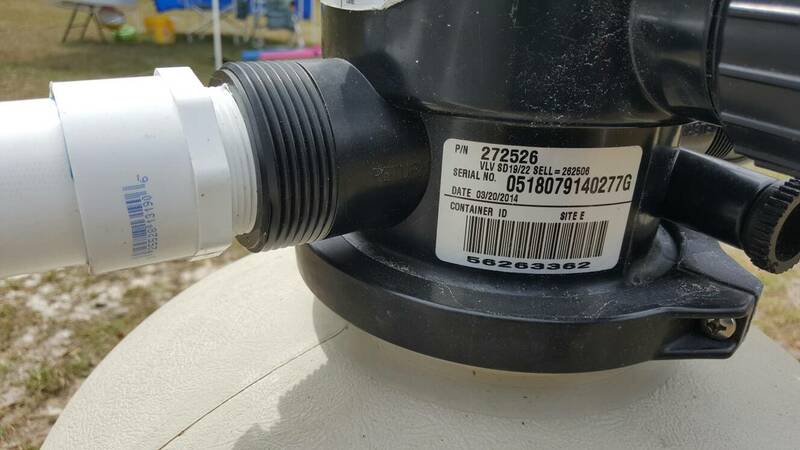 Is there any way the top portion of the valve could have gotten clocked to the wrong position? What sand did you use? When did you see all the sand coming out, was it really in the backwash position? The picture is in the Rinse position. Yes it was in the backwash position. An when u say what filter size is,that the container with the laterals in it other than that I don't know where any other filter would be. 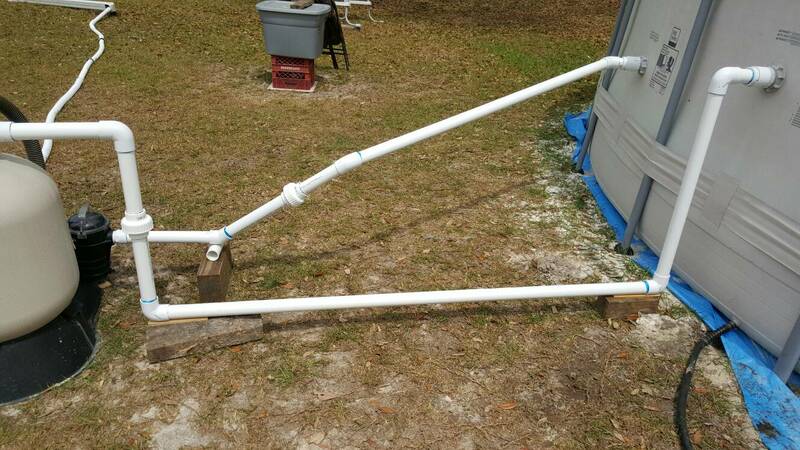 We purchased sand for it at a pool store they were 50lb a bags. 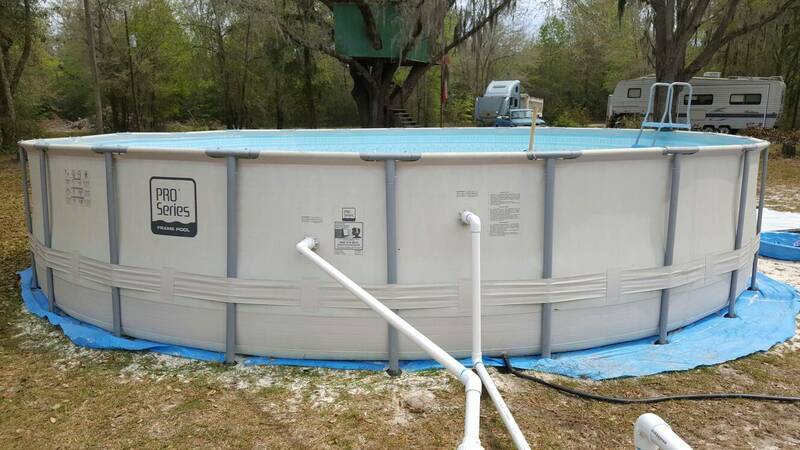 An sand came out after we loaded it an filled it with water the first time an tried to backwash sand as the pool store told us to do before use on pool. Did you avoid pouring sand into the central stand pipe? 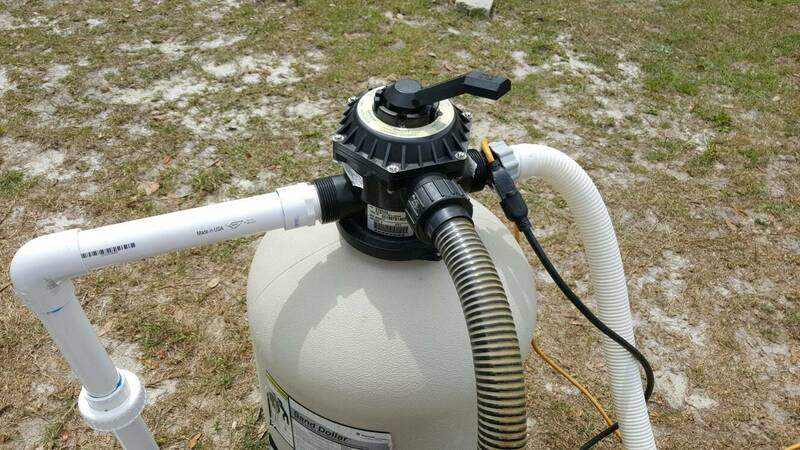 I do not own a sand filter, but would "assume" that after initially filling it with sand, that you would get a little sand in your first backwash. How much sand came out and how long did you run it? Have you tried it again? Yes there was a device to cover the hole. Yes , I've tried it 3 times an the amount of sand was about 30 cups full at a good guess .after trying g 3 times we had to add more sand. It is possible that you've over filled it with too much sand. If it's a model SD35 than it only needs 100lbs not 150. 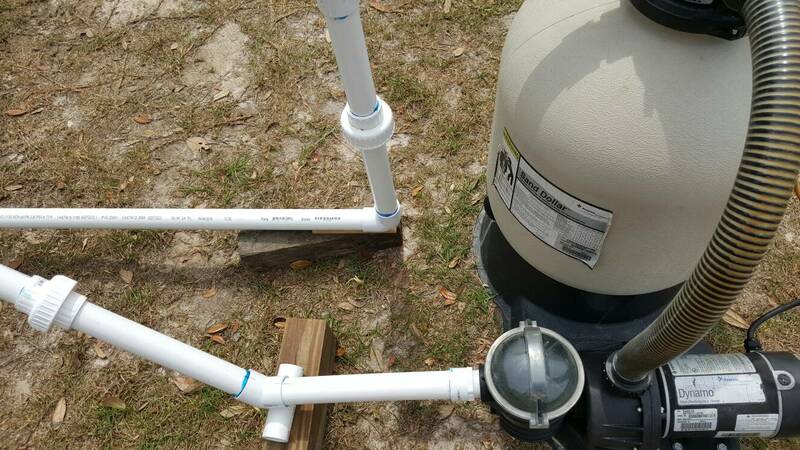 Anytime a sand filter has too much sand it will naturally expel the excess during backwash until it gets to around the correct filled level. When back washing all the sand is lifted and as this happens the dirt is displaced and lifted through the grid on the underside of the multiport. If theres too much sand the water pressure during back washing will force all that extra sand up higher and out to waste. If it happens to be a SD40 then it does require 150lbs of sand and there is something seriously wrong with the multiport. I think that the problem is probably due to the pump being oversized for the filter. It was bought together in same box. So don't think that's problem. We are just going to start over take it apart an retry.. thank for all the questions .. IT'S A SD40 150 LBS OF SAND IS THE REQUIRED AMOUNT. THANK YOU FOR THE QUESTIONS. WE'RE JUST GOING TO START AS IF IT WAS NEW AN SEE IF THERE WAS A MISTAKE WITH ASSEMBLY, SENCE IT WAS USES WHEN WE GOT IT. The backwash rate for that filter should be about 28.5 gpm. The pump can do about 80. 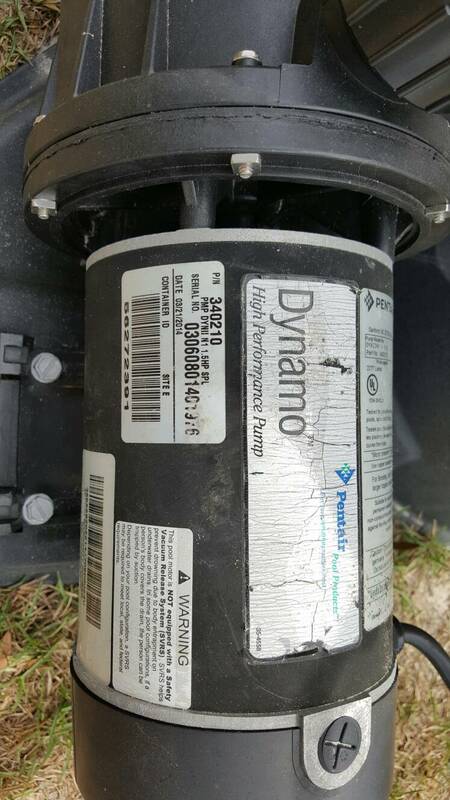 The pump is 2.8 times too big for the filter. James has already explained the issue, the pump will push almost 3 times the amount of water that the filter can handle during backwash. I can't explain why SAM's paired them together.